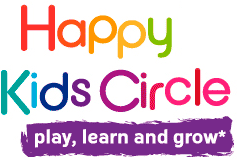 Happy Kids Circle was established in 2013 by Shefali Manilal based on her vast experience in education and bilingualism. Shefali has degrees in Psychology, Education and Multicultural Management and has been in Paris for over 15 years. Shefali grew up in India and has studied in California. She is trilingual and is very familiar with both the French education system and French culture, her six-year old son Matteo is totally bilingual —English, and French. Shefali organizes and runs the workshops along with Clare Best, who was born in the UK, is trained to work with young children and has been in Paris for 5 years now. Clare and Shefali are passionate and enthusiastic about teaching English and children!